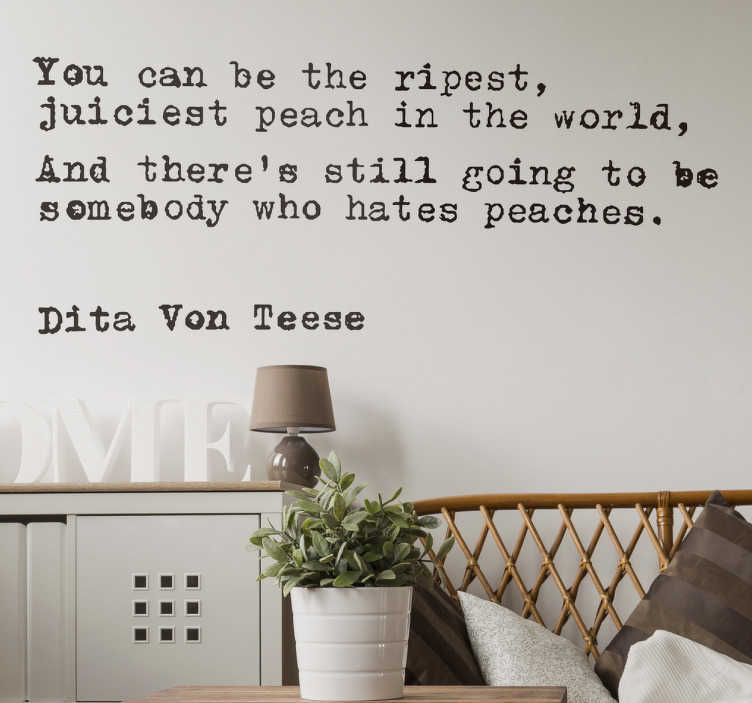 If you're a fan of pinup style and want your home to show it, this decorative wall sticker featuring a quote from burlesque dancer Dita Von Teese reading "You can be the ripest, juiciest peach in the world, and there's still going to be somebody who hates peaches." is perfect for you! In a typewriter style font and monochrome style, this vinyl is available in a variety of different sizes and if you require a custom sized sticker, don't hesitate in getting in touch!